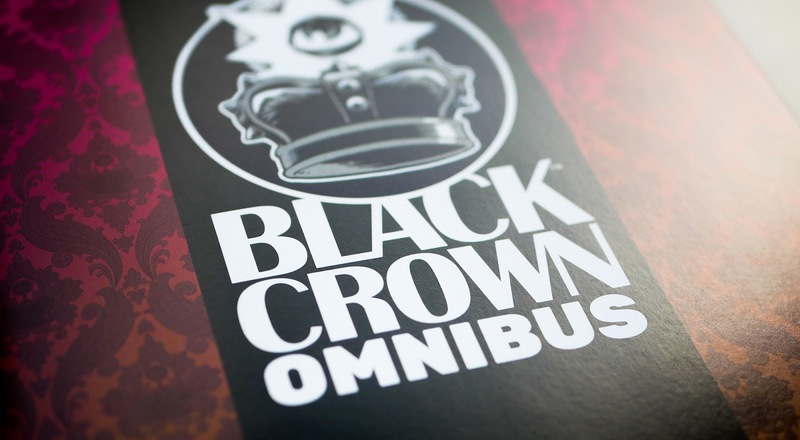 What a treat to get this gorgeously hefty copy of Black Crown Omnibus through my door! 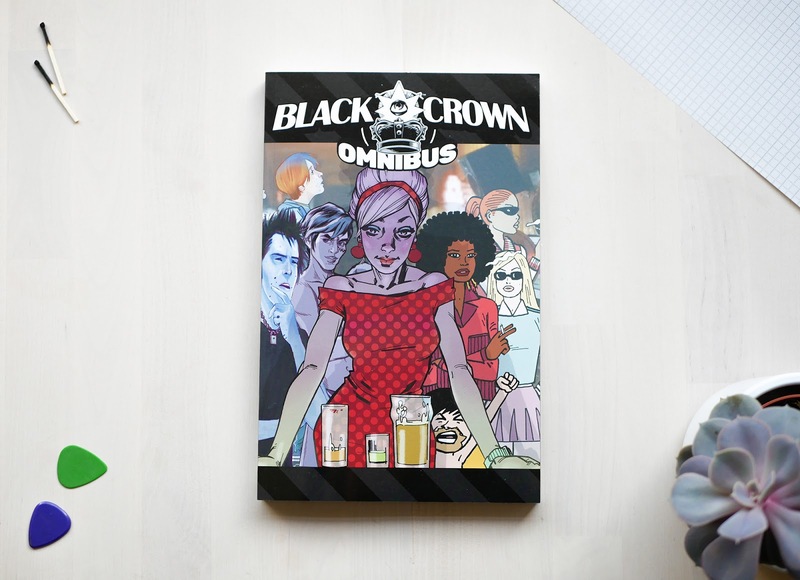 Last year I was commissioned to create my first internationally published comic for IDW's imprint Black Crown, and you can now see it again in big ol' omnibus format in this new collection! 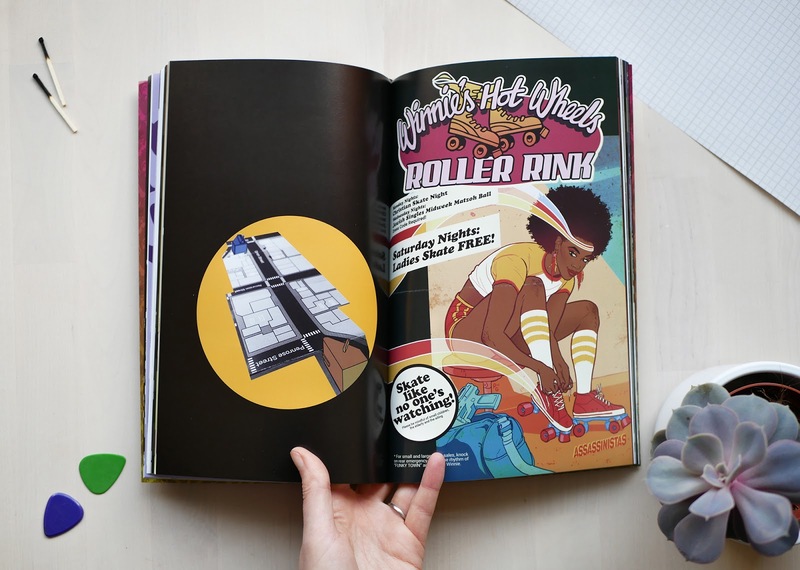 The book features loads of amazing comics from the issues of Black Crown Quarterly, as well as all of the 'Hey Amateur!' one-page features (like my 'How to spot a galaxy' story) in full, glorious colour. There are some really incredible stories in this book (yeah, I'm a tiny bit bias, but still...), and it's been a joy to dip into and enjoy reading through it with a brew. 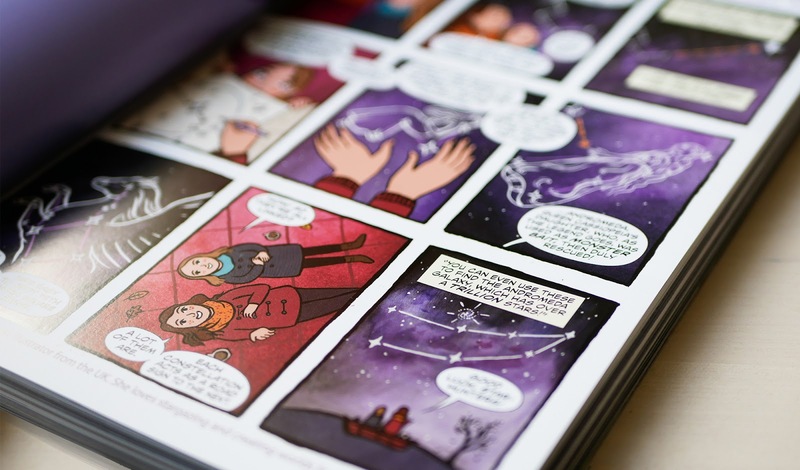 My story is part instructional, with two lovely characters guiding you (and each other) through finding constellations, mythology and galaxies whilst stargazing at the night sky. I've always loved stargazing, and I (nerdily) spent hours on a VERY slow computer game where you traipsed around the galaxy trying to spot constellations and use those as signposts to find galaxies or specific star clusters - so that inspired this comic heavily! 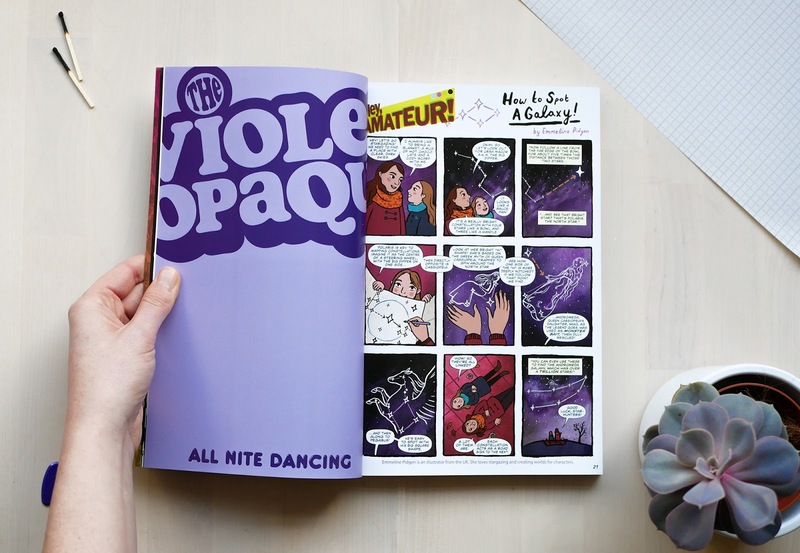 I love staying curious and I enjoy constantly learning new things, so the Hey Amateur series really spoke to me as both a creator and a reader! I highly recommend them. 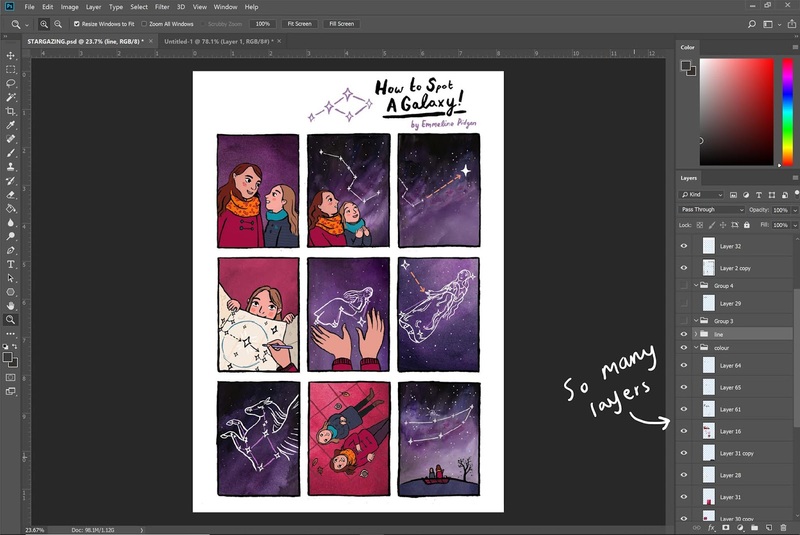 If you want to read more about the process of creating my 'How To Spot A Galaxy' comic, head to my post here! 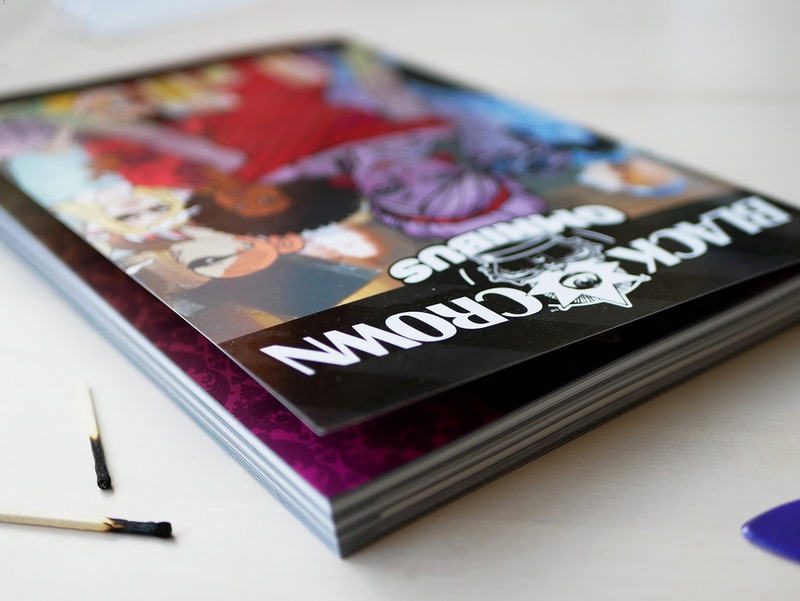 If you fancy your own copy of Black Crown Omnibus, you can grab one for yourself online or in your favourite comic shops! I'm SO pleased to have been part of Kate Slater's amazing Refuge Tree project! 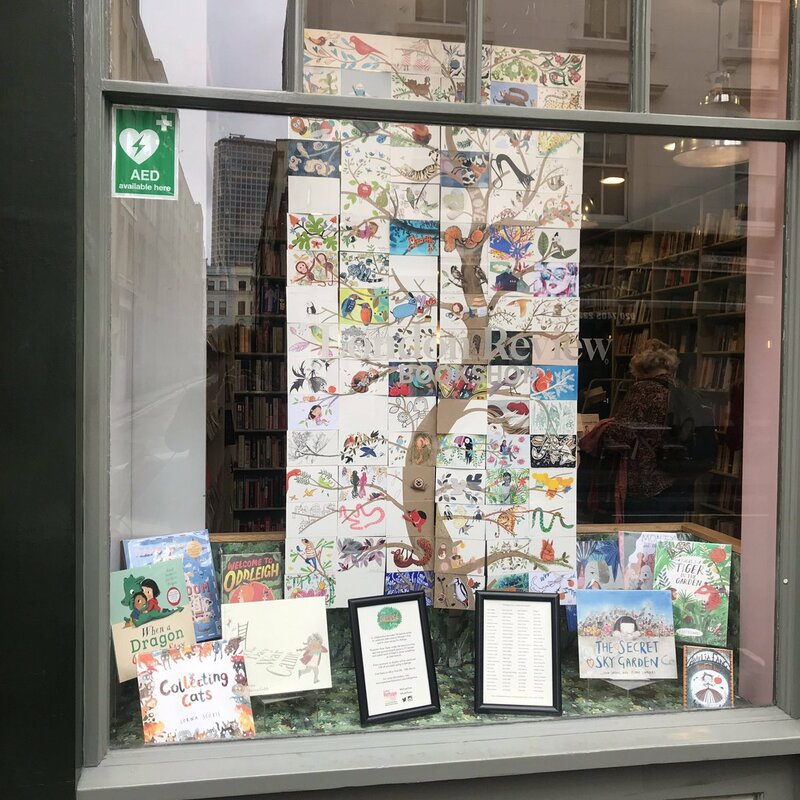 There's almost a hundred amazing female-identifying illustrators involved, each producing artwork on a section of a huge tree collage, with individual pieces auctioned this week in aid of @Refugecharity (a charity which works to end domestic violence), AND the full tree displayed in London Review Bookshop! I used Kuretake watercolours, @winsorandnewton gouache and @penteluk fineliners for my blossomy piece. 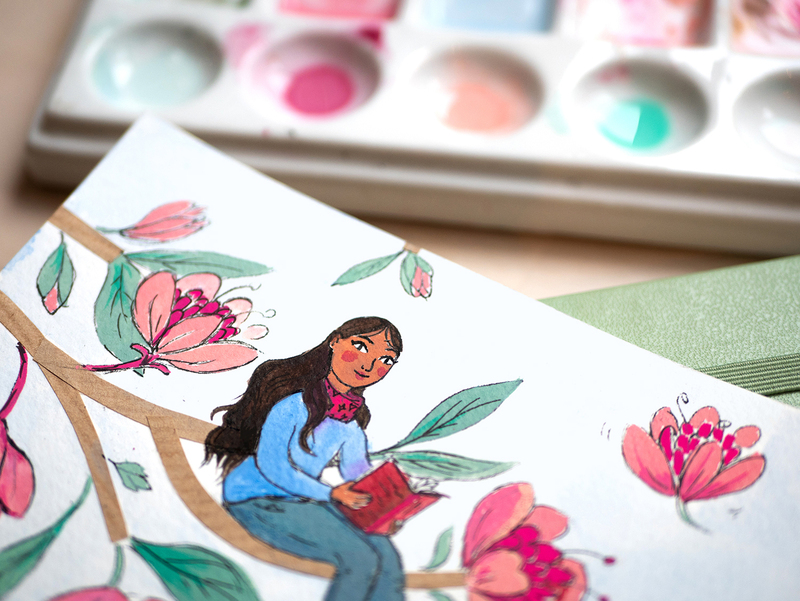 🌸 The plum tree outside of my house is currently in full blossom, so I couldn't resist adding some beautiful, giant blooms to my painting. I love drawing my characters reading, so I had to sneak a book in there! 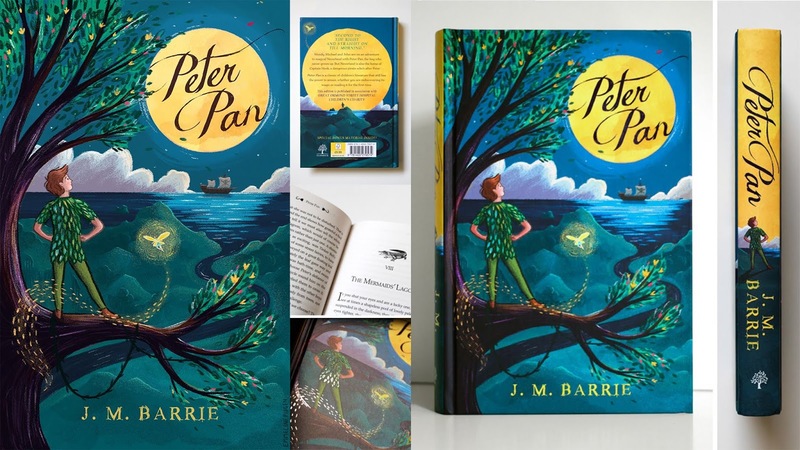 The full display looks incredible, so make sure you take a peek on Kate's blog and keep an eye out for how to bid in the auction later this week! 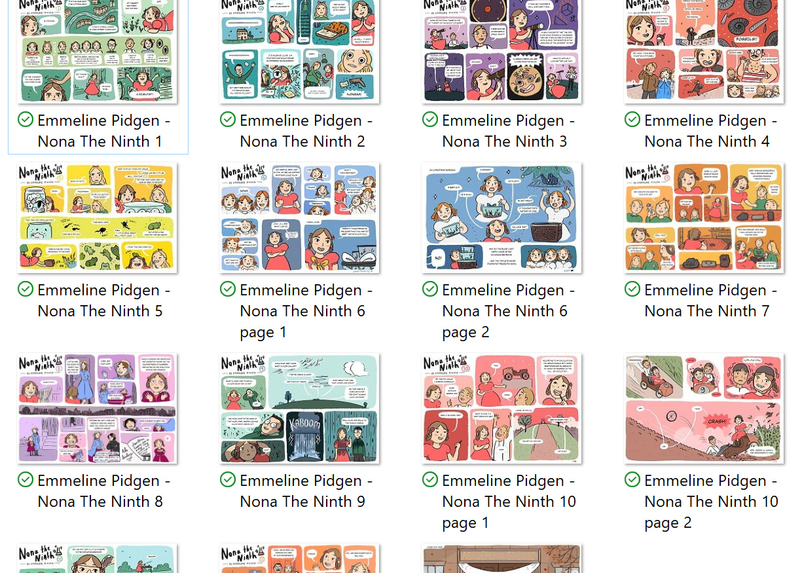 A Year's Worth Of Nona The Ninth Comic Wrapped Up! 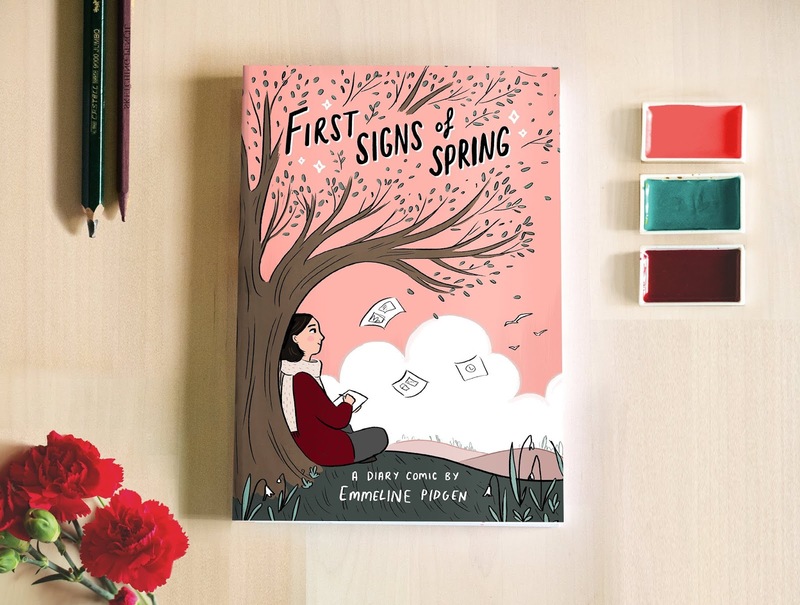 A new book I've illustrated is out now! 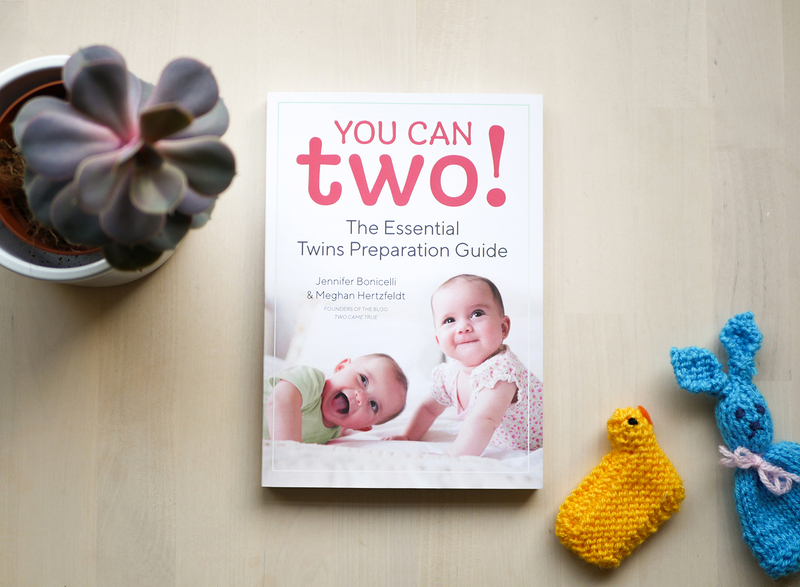 It's called 'You Can Two! 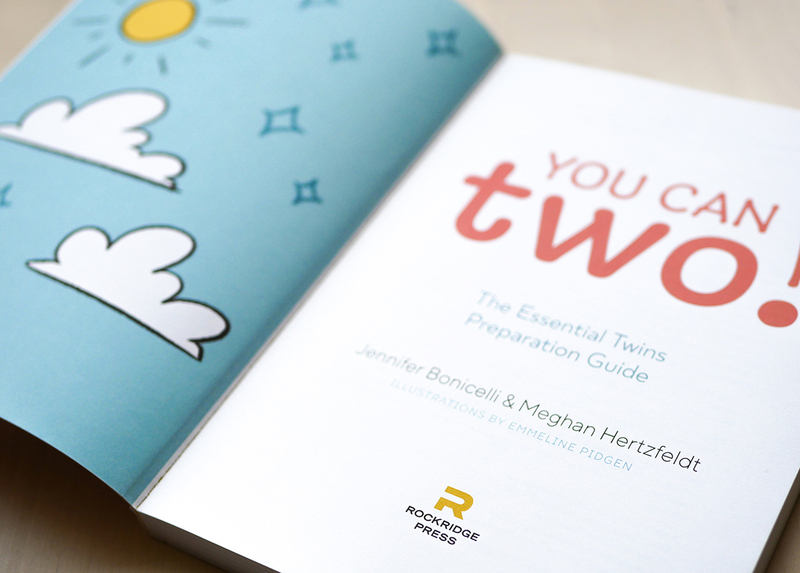 The Essential Twins Preparation Guide' written by Jennifer Bonicelli and Meghan Hertzfeldt. 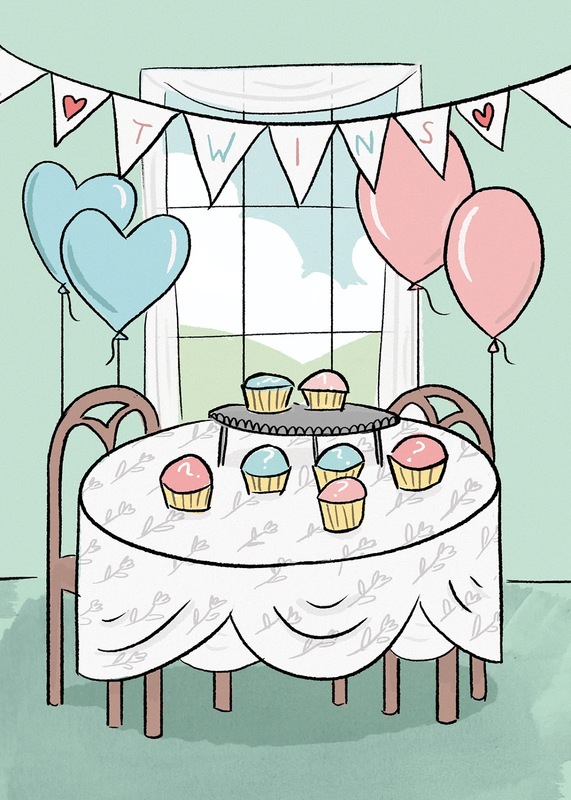 It's all about gearing parents up for the arrival of lil' twin babies! 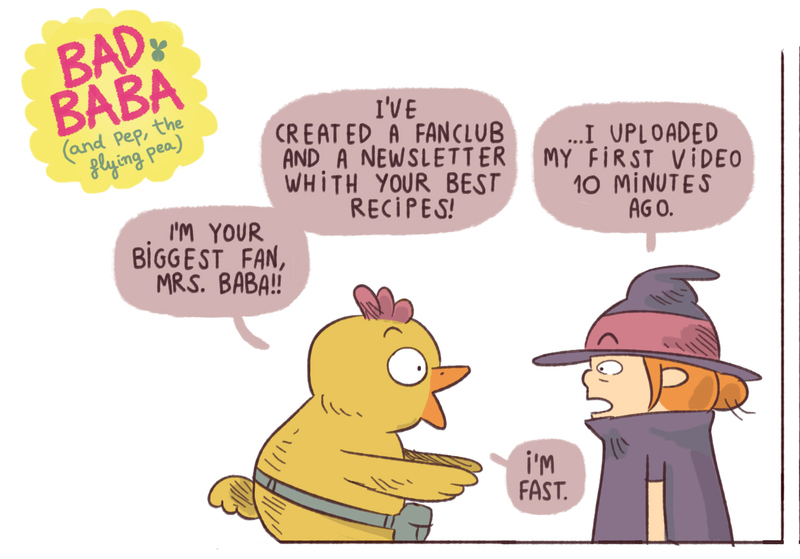 Adorable project theme, right? 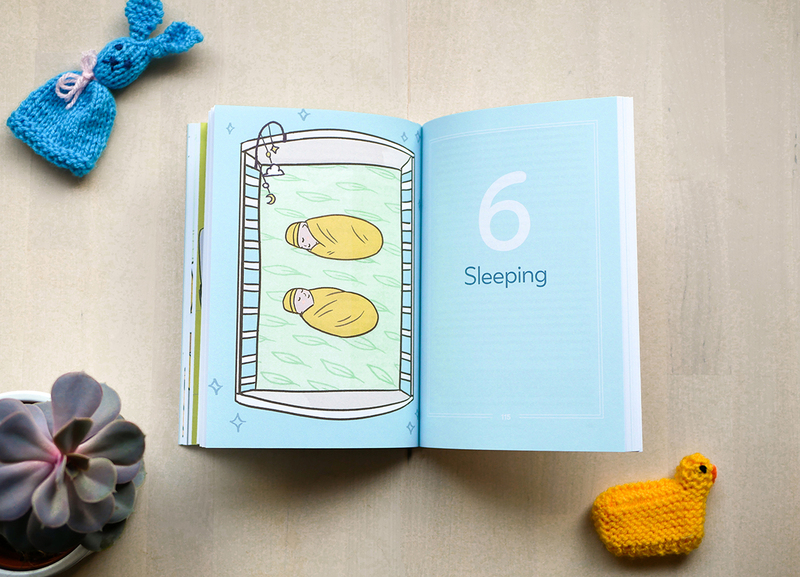 The team at Rockridge Press got in touch after I'd illustrated their 'No More Bullying Book For Kids' earlier this year, and said my illustrations would be perfect for the calming, cosy and optimistic vibe they were looking for for the book. 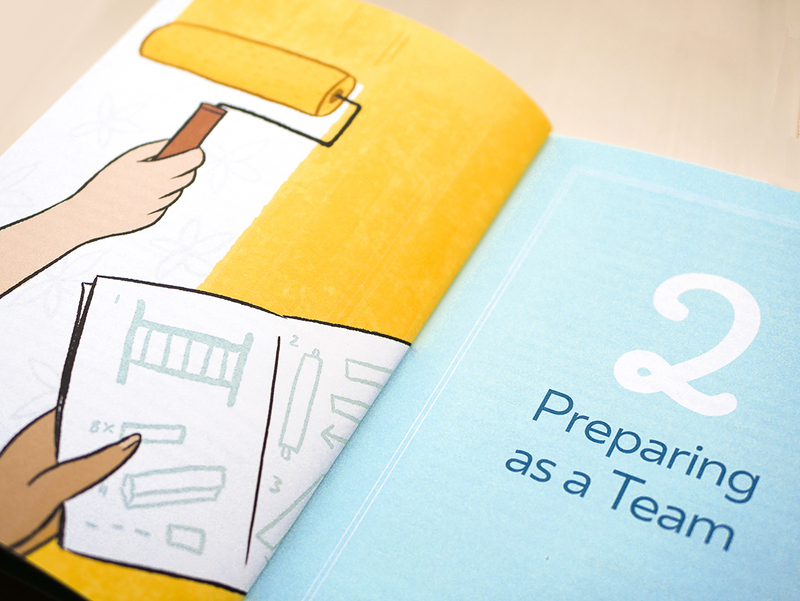 The book features twelve full-page colour interior chapter illustrations, as well as small spot illustrations dotted around the pages. 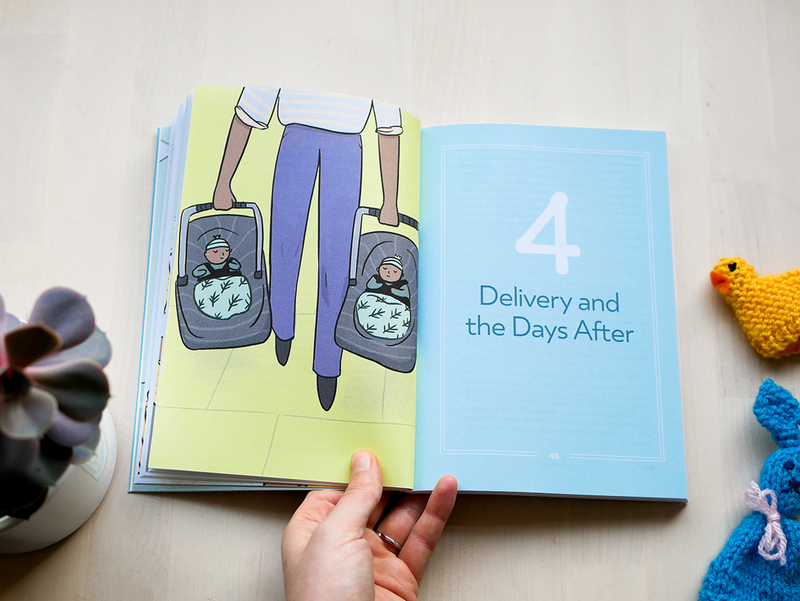 The book covers everything from preparing for the delivery, to the best ways to feed twins, as well as looking after yourself! 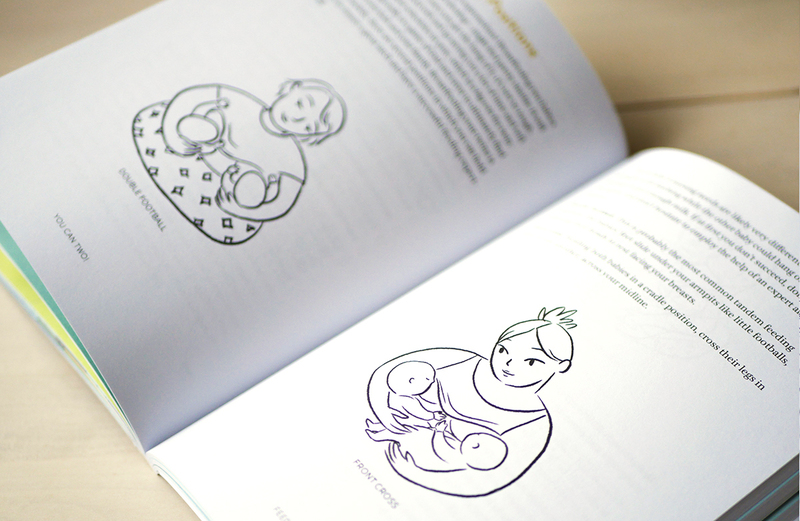 The breastfeeding holds illustrations in particular took a lot of research to get the poses just right, as the illustrations were instructional as well as decorative! We had a few revisions on the angles and poses to make sure they were as clear as possible, and (although they're greyscale) they ended up being some of my favourite illustrations from the book! 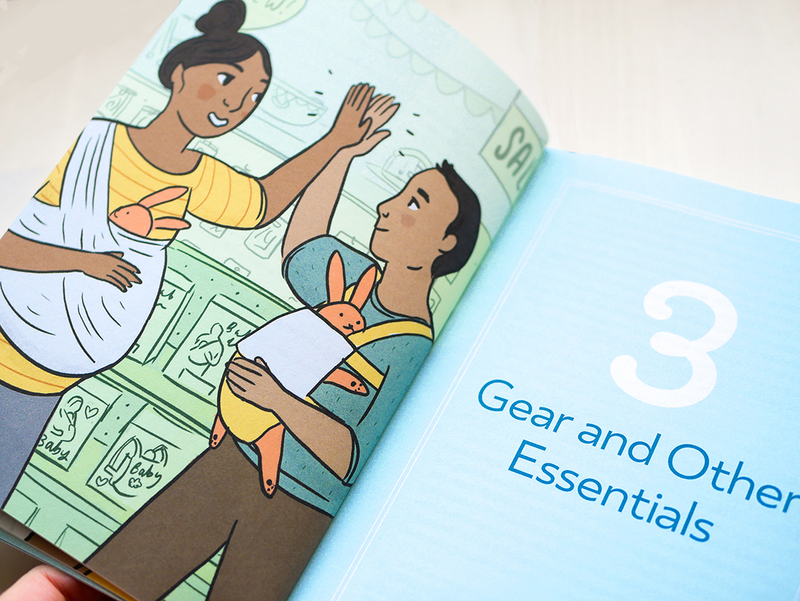 It was such a nice project to illustrate, and it was a joy to be able and encouraged to represent a wide range of families through the illustrations! 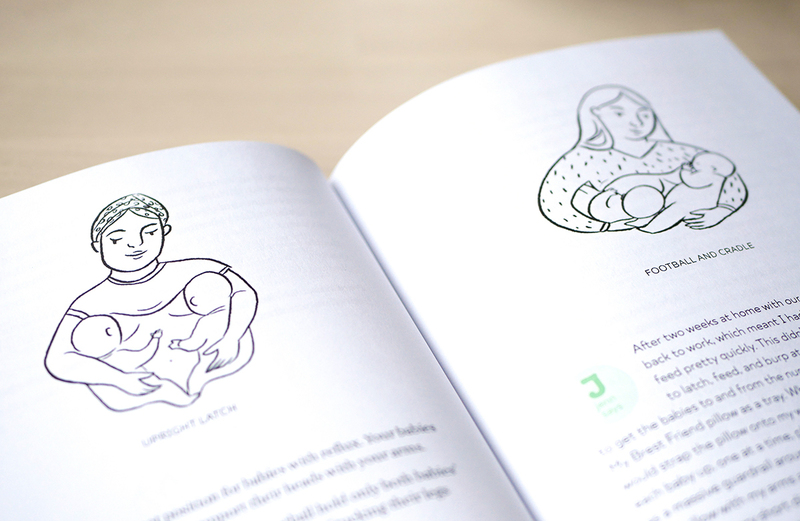 You can see more of the final illustrations and book shots below, and you can purchase the book here. 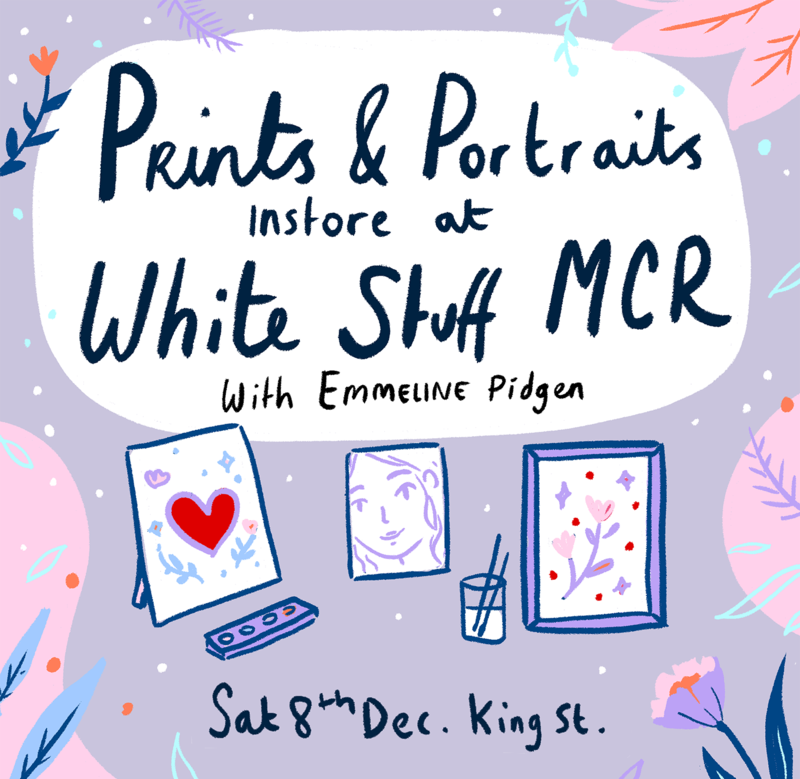 Last Saturday I hosted a popup instore at the gorgeous White Stuff shop on one of Manchester's busies Christmas market streets; selling my illustrations, cards and books and creating live portraits and illustrations for the customers! It was a really great day spent painting and meeting excited Christmas shoppers and a few people who had come over just to meet me! 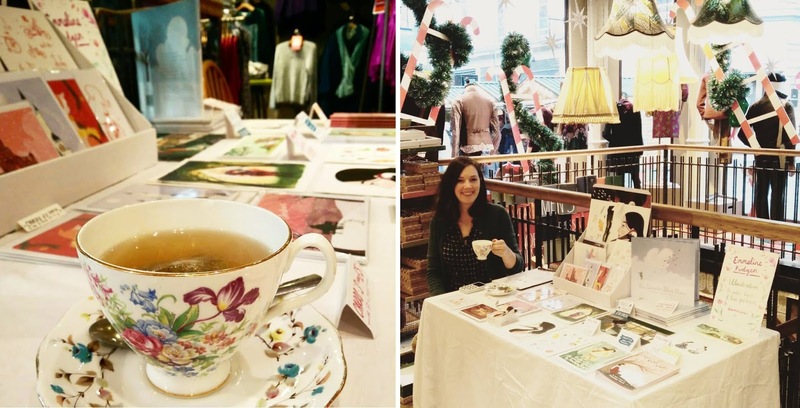 It was a lovely change of location for me, nestled between beautifully printed dresses and Christmas gifts, and it was such a joy to meet so many fantastic people curious about my illustration work! 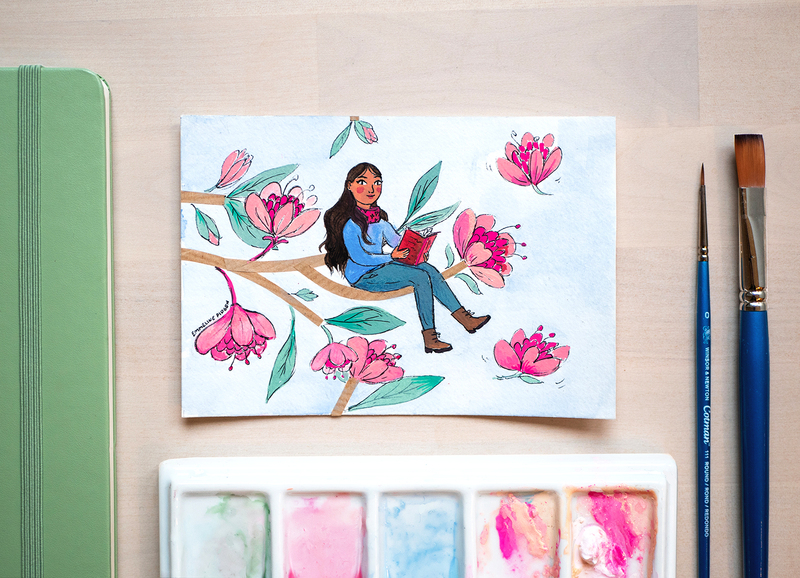 I love being booked to create live illustration instore and for events, it's such an exciting opportunity, and it's so ridiculously heartwarming to see how much people treasure the portraits or illustrations I paint for them in front of their eyes! In the past I've illustrated live at events like National Freelancer's Day and instore at House of Fraser. 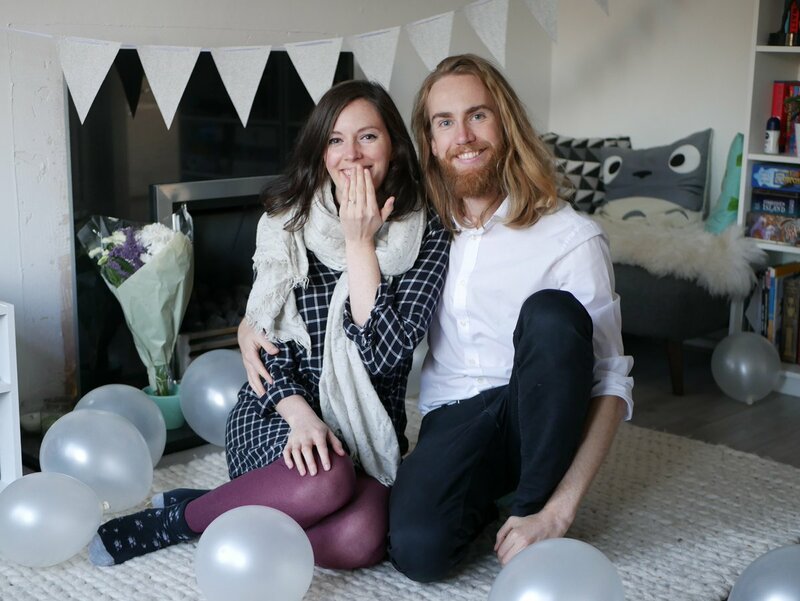 You can find out more about booking live illustration for instore events and weddings over on my website! 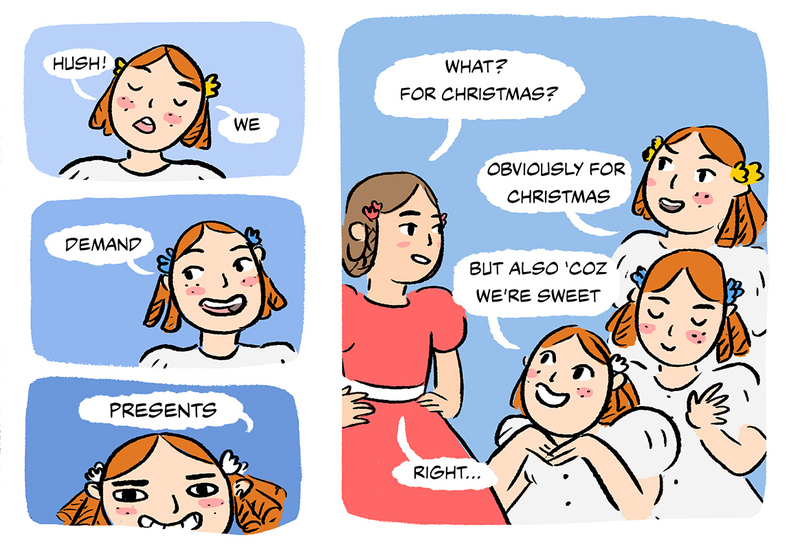 Okay, so we're in December now and I will officially allow myself to write Christmas blog posts (ignoring the fact I sometimes need to illustrate Christmas cards in July!). 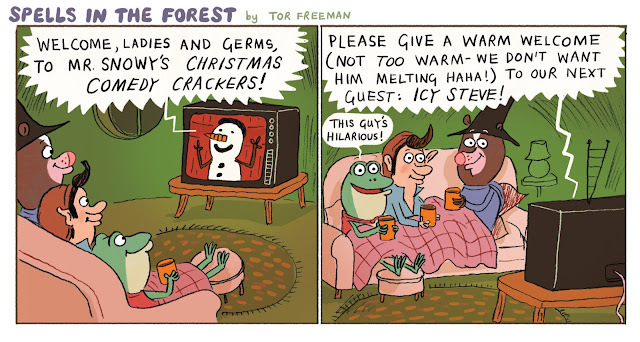 So, hear ye, hear ye: the Goof Comic Christmas Special is OUT TODAY! This issue marks six months of Goof Comic, and six months of my Nona The Ninth stories! 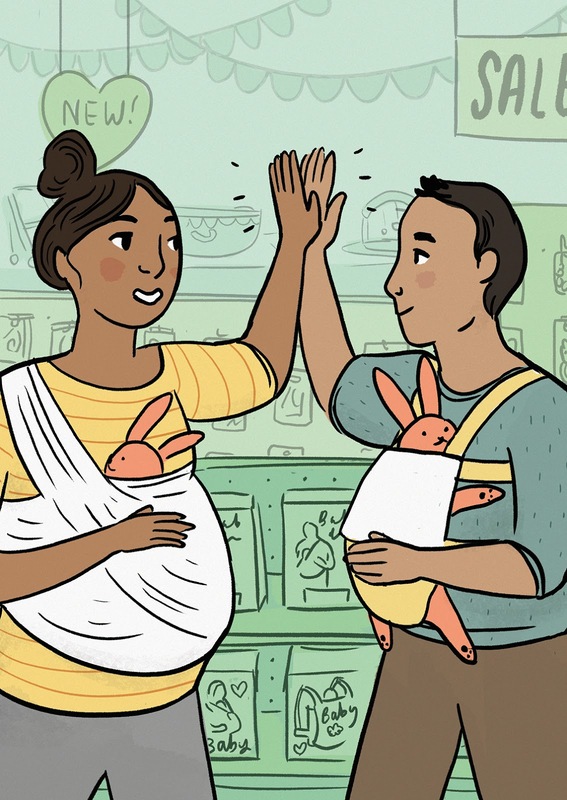 It's been such a joy to write and illustrate Nona's stories over the last half-year, and I have a sketchbook full of notes for more fun stories coming up. 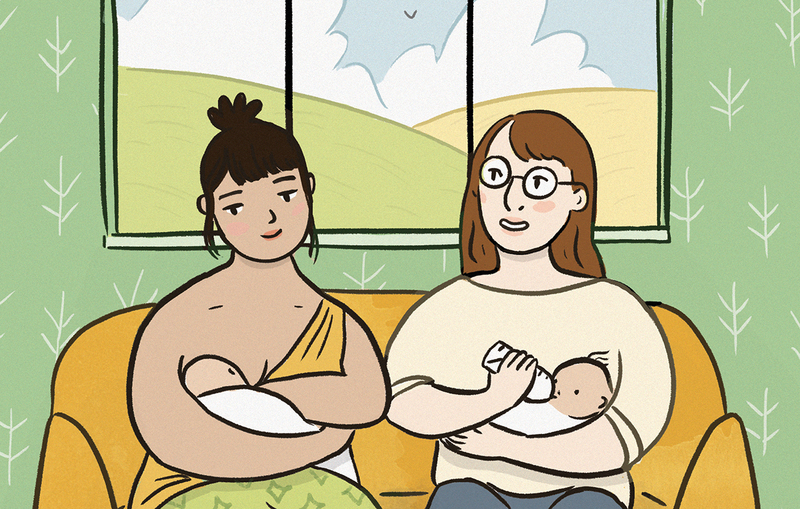 As an extra special treat, this month's Nona is a two-page story too! 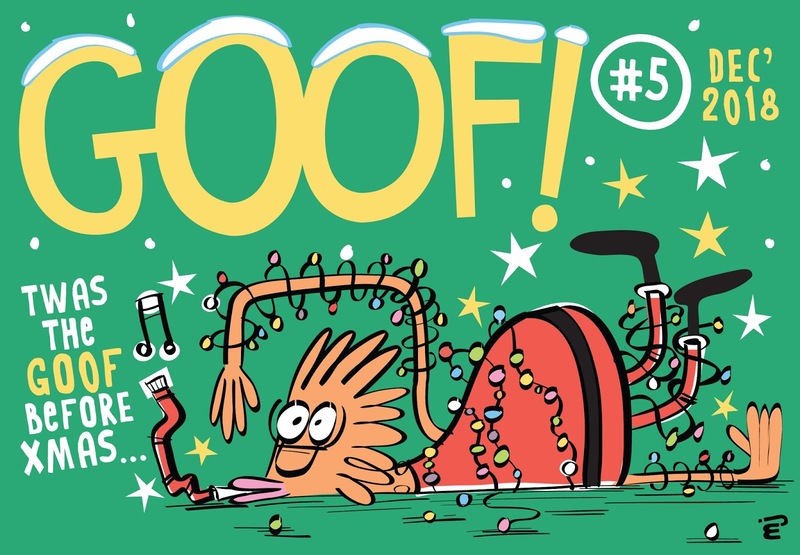 Top to bottom: Marc Jackson's Goof Issue #5 cover, Clara Soriano's Bad Baba, Lew Stringer's Derek The Troll, Tor Freeman's Spells In The Forest. (Plus Nona The Ninth #6 the very top!). Autumn is by far my favourite time of year; the town I live in just turns into a giant colour palette of my favourite tones and I get to wrap up in cosy coats and scarves (who am I kidding, I wear scarves all year round!). 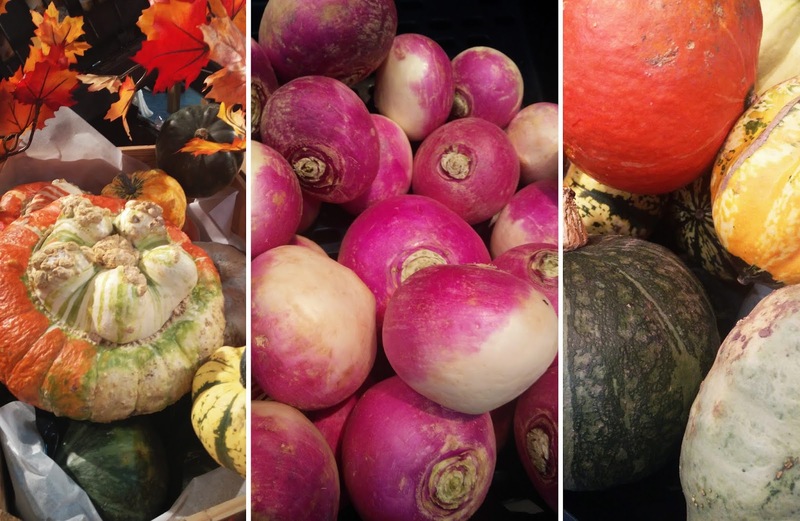 My photo reel is full of snaps of gorgeous yellow ochre leaves, bright orange pumpkins and firey-coloured woodland. These colour collections definitely find themselves spilling over into my illustration work throughout the year! 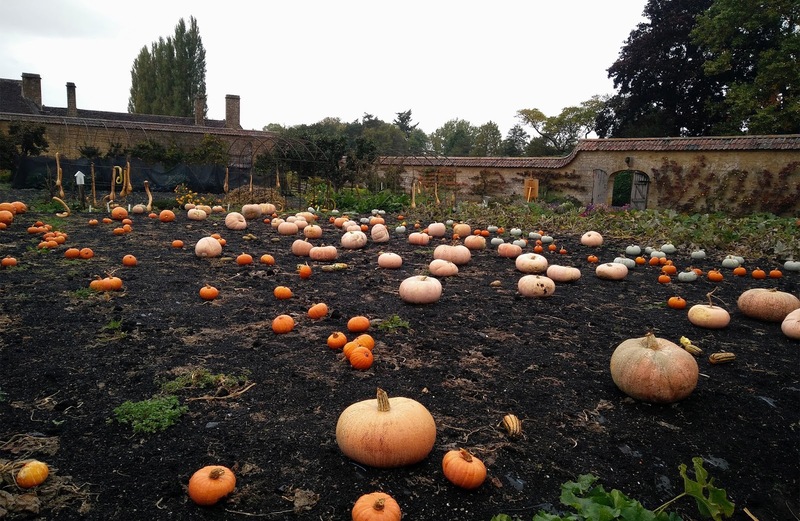 A few weeks ago, I went to Somerset for a friend's wedding and popped into Barrington Court National Trust garden and found this INCREDIBLE pumpkin patch! I think I actually squealed out load when I saw it! Colours often take on a bit of a different look when they're isolated from photos and used in illustration, so I worked with an interpretation of a few of my favourite tones from the photos to collect them into this quick, leafy illustration for future colour palette inspiration! 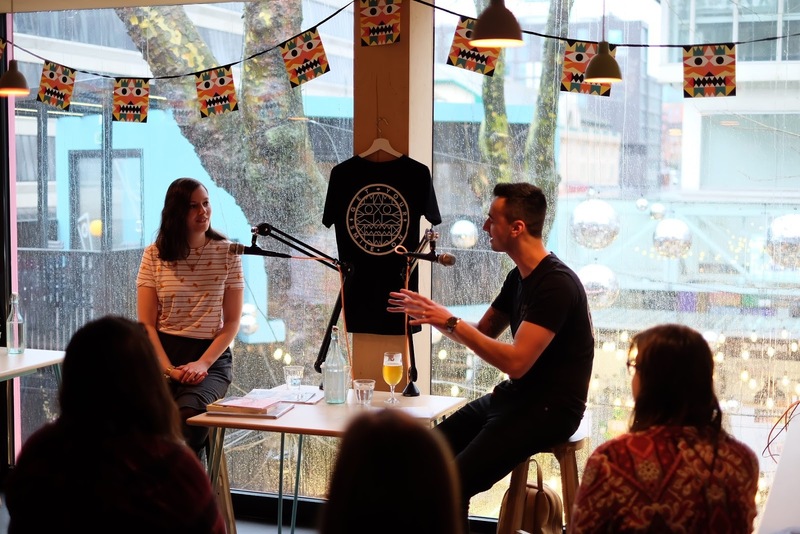 Last week I expanded my map and travelled down to Guildford in Surrey to kick off the first in a series of Artist Talks run at The Boileroom. 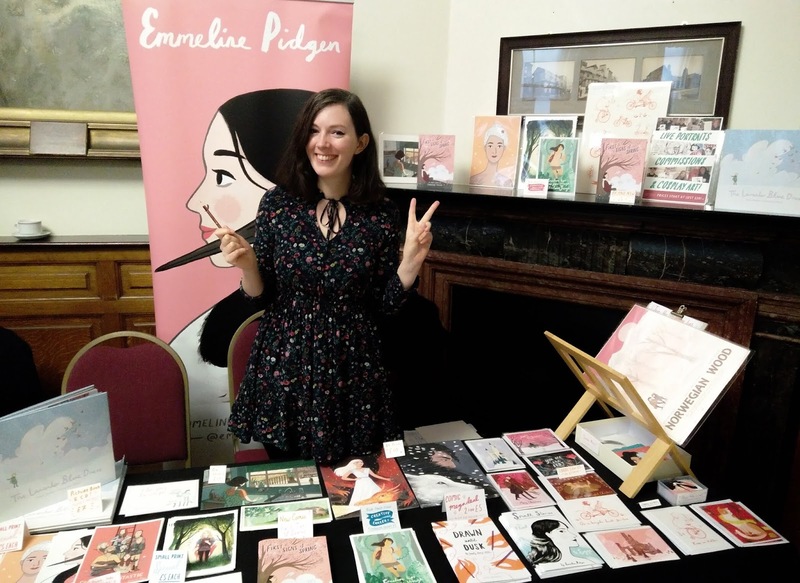 Fellow illustrator Andrew Thomson invited me down to speak about my illustration career, answer insightful questions, and run a drawing workshop for an audience of wonderful, creative people! 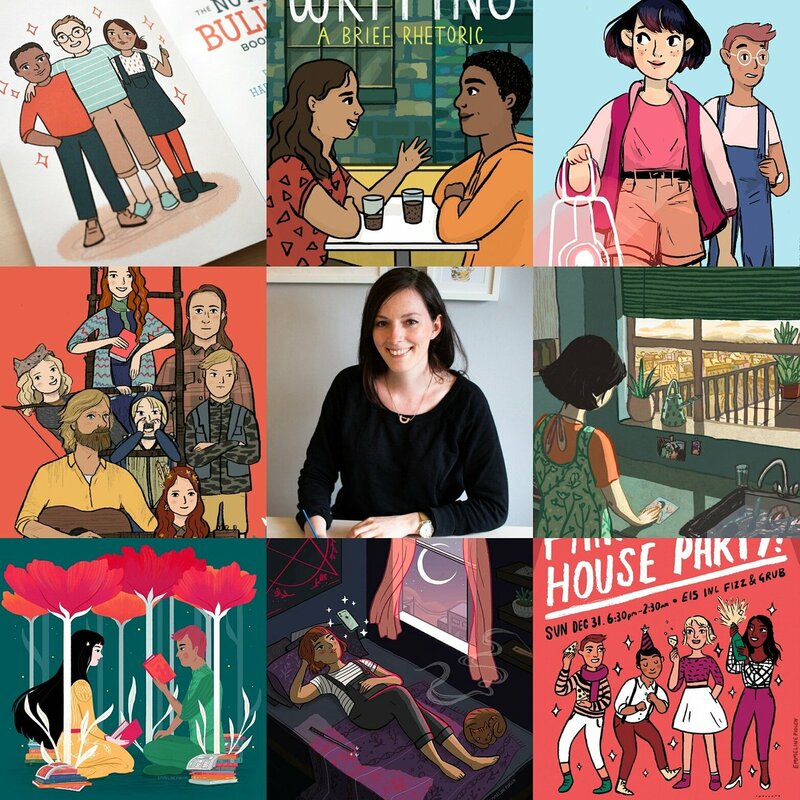 It was so great to spend time talking honestly about my career in the creative industries, show some of my secret projects, give an in-depth step-by-step look into my illustration process, and chatting about useful tips for turning creativity into a career. As my talk was the first in a series (the line-up to come is stellar by the way! ), and the audience were all different levels of ability - from people who just enjoy art on the side, to fully fledged creative industry veterans - I wanted to make the workshop inclusive and fun for everybody. I chose to base the workshop on one of my favourite warm-up challenges: blind contour drawing! Blind contour drawing is basically just drawing the subject in front of you without looking at your paper (at all!). This often leads to hilariously squished-up or skewed drawings, which is especially funny when you're drawing your friend right in front of them! I started the workshop off with some examples of blind contour drawings I've done of some interesting celebrities, before working with the audience to move on to drawing their own celebrities and each other! The workshop then moved on to the optional challenge of using some of the character design and editorial process I'd spoken about in the presentation to illustrate a wonderful poem based around the idea of learning to unlearn. There were really lovely interpretations of the poem! It was such a great event. We had people crying with laughter, and creating some amazing (and fun!) drawings! It was such a pleasure to meet so many enthusiastic, welcoming and creative people, in such a beautiful town. So many people left the talk with huge smiles on their faces - I couldn't ask for more than that! On the way home, I spent some time exploring Guildford (I even dragged my suitcase up the steep hill to catch a glimpse of the castle, I LOVE a good castle!). 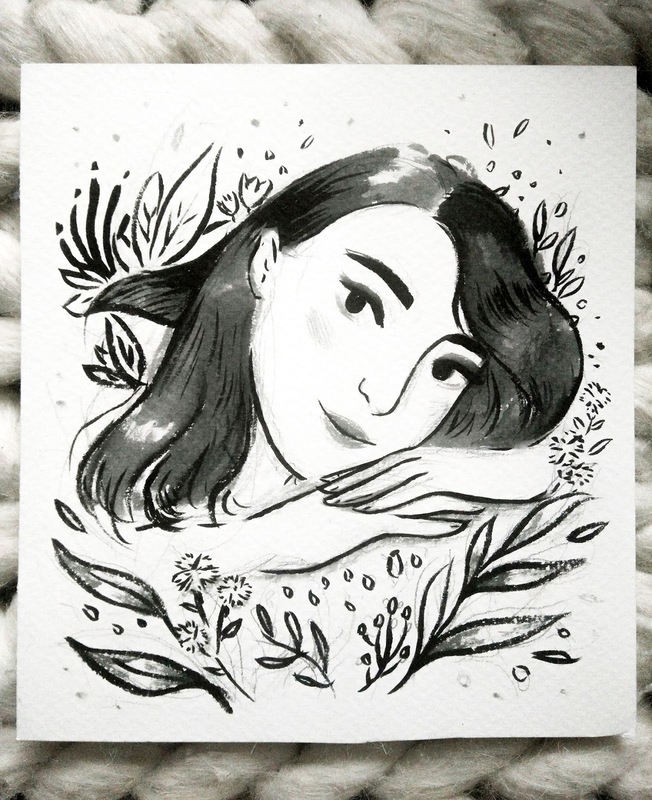 I also popped in to London to visit some of my very best friends too (we have drawn A LOT of blind contour drawings of each other over the years haha)! Thanks so much to the Artist Talks Series and The Boileroom for having me! If you'd like to take a look at my other workshop availability you can pop over to my website or drop me an email.